An ADU recently completed by The Hands of Sean Perry Co. If you live in or near Asheville, you have probably been hearing quite a bit lately about ADUs: Accessory Dwelling Units. In a tight real estate market like Asheville’s, ADUs are understandably a hot topic. Small, efficiently built houses add to the available housing stock and can add significant value to your existing property. 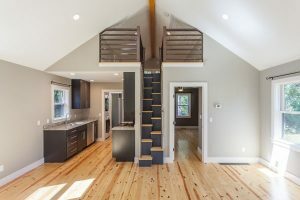 Though there has not been a decision yet on whether the city will change its laws prohibiting the short term rentals of ADUs, they remain a smart investment for long term rentals and a good choice for your own family, especially for adult children, your parents, or your in-laws who’ve decided that Asheville is a great place to live, too. The Hands of Sean Perry Co. is especially suited for the building of ADUs. From our thorough, “no surprises” estimating process, solid communication about budget and timeline from beginning through completion, and award-winning quality and integrity of construction, we’re a great fit for the design and building of ADUs. ADUs are space-efficient, making the most of every square foot. 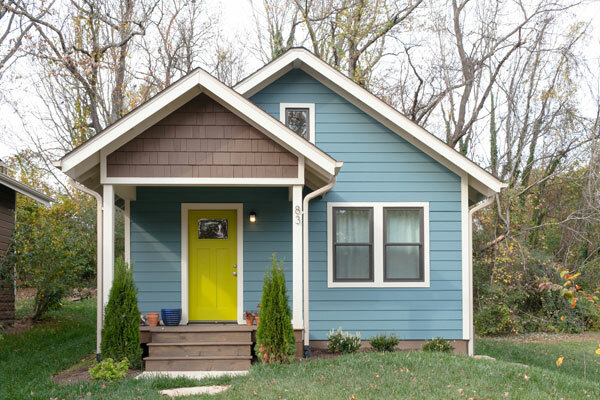 Changes made in 2015 to the Asheville building and housing code make it easier than before to add an ADU to your property. The new parameters allow for ADUs up to 70% of the size of the primary dwelling, up from 50% prior to 2015–up to 1000 sq. ft. Additionally, if you have a lot that was legally established but is no longer conforming, an ADU may still be permitted. Due to the ease in size restrictions, more people are considering ADUs as an option for their property; you might be one of them. Contact us to schedule a consultation, or read more about ADUs.